You might have heard of RepRap. 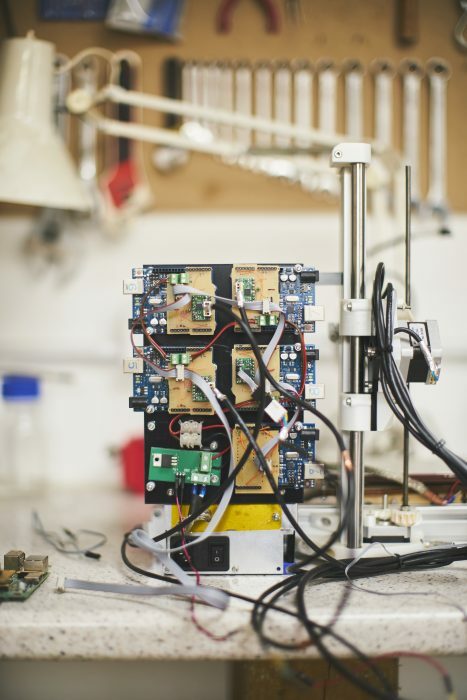 It’s the project that began at the University of Bath in 2005 with the aim of creating a self-replicating, open-source 3D printer. As is the nature of open source, many other projects have spun off from RepRap, including the Prusa i3. Without RepRap, the field of 3D printing would be much smaller, less advanced, and a lot less open. 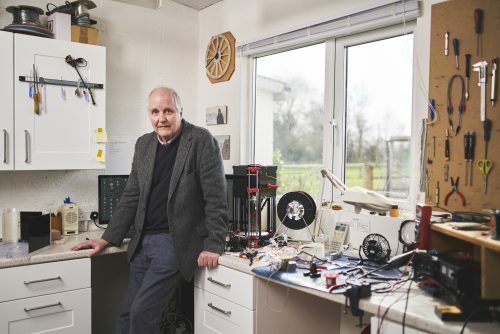 Adrian was made an MBE in the New Year Honours list, for services to 3D printing. We drove many miles through wind and rain to meet Dr Adrian Bowyer, co-founder of the RepRap project who now, along with his daughter Sally, runs RepRap Ltd. The two of them are still pushing boundaries, raising standards, and lowering prices, so we sat down to talk about RepRap and where the 3D printing industry is heading. It may be an obvious question, but why did you start the RepRap project? Adrian Bowyer: Curiosity. I have always been interested in the idea of self-replicating machines ever since I was a child. When my university acquired some commercial 3D printers, as soon as they arrived I thought, ah, we’ve got a technology here that is sufficiently versatile that it stands a chance of being able to copy itself. Having had that idea, the very next question that occurs to your brain is: will this work? And that was the genesis of the project. I wanted to find out if we could make a machine that could print a significant fraction of its own parts and self-replicate. It was literally the case that, at the height of development of RepRap in Bath 2008/2009, I was effectively running, in terms of numbers of staff, the biggest research project in any UK university. I wasn’t paying any of them of course, and they were distributed all over the world, but if you counted them up, there were more of them working with me than were working in any other single research project in any other university in the UK. What are you doing with RepRap at the moment? AB: We’re looking at distributed processor RepRaps, so instead of having a single CPU, we put a single CPU on each device in the machine, such as the heaters, the motors, and so on. This isn’t a new idea; other people have tried this in the past. From the perspective of Raspberry Pi, that’s interesting because such a machine wouldn’t need real-time response from the processor that’s at the heart of the machine. If you’ve got a Linux system running on something, it’s not great for real-time control, because of interrupts. Whereas the sort of system we’re working on would have a Raspberry Pi in the middle, with a load of Arduinos around it. You can hand over the hardware timing to the Arduino, which, being dedicated, can be guaranteed to generate a poll every 20 microseconds or whatever it is. Whereas the thing sitting in the middle, doing the control, just has to be able to respond every few milliseconds. That’s something we’re putting together with Raspberry Pis and Arduinos. One of the reasons that we want to do it is that we’re looking at making larger machines, and also a machine that not only is a 3D printer, but also incorporates a plasma cutter. Now, the thing about a plasma cutter is that it generates an enormous amount of electronic noise. You get lots of interference from it. So the ideal way to send electrical signals around the machine is not using electricity, but optics. So what we would be doing would be setting up a machine with optical communication between each of its component parts and the controller, so that electrical interference isn’t a problem, and, in order to do that [the system] has to be distributed in the way that I’ve just described. Where, in general, do you think 3D printing is heading? AB: The analogy I often draw is with washing clothes, which went through three stages: it started off with us washing our own clothes. In the scullery or the kitchen, you’d wash your clothes once a week. And then in Victorian times, as economies of scale kicked in, there would be a town laundry, where you would send your clothes and they’d come back clean. But now we have a robot in the kitchen that can wash our clothes. It’s come back to us, this time automated. Making stuff in general, it seems to me, is going through that progression, just 100 years later. It started off that, if you needed a gate hinge, you went to the blacksmith in your village. He would make you a gate hinge. Now if you want a gate hinge, you go to the shop and buy one, and it was made halfway around the world. But if we bring some of that back into our cities, it’s like bringing our washing back from the town laundry into our homes. As long as it’s automated: the rule seems to be that if something is automatable so that people don’t have to pay a lot of attention, and it’s low-cost enough, people can take it back to themselves, and economies of scale get reversed. 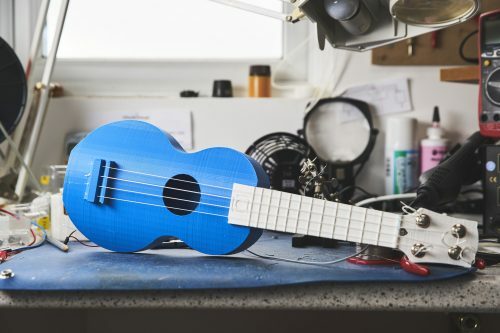 This ukulele was printed in two parts. It’s playable, and sounds great. Finally, congratulations on your MBE! AB: That’s very kind! The certificate is an impressive thing. Signed by Her Majesty the Queen, and by Prince Philip as the person who is in charge of knighthoods and such. I’m going up in May to Buckingham Palace to have it pinned on my chest, so that’ll be interesting. The commendation says: “Inventor: for services to 3D printing.” Short and to the point. The full interview is in HackSpace magazine issue 17, where we also help you develop your Arduino skill, look at an open-source lathe, design a PCB in KiCad, build a polyphonic synthesizer, and much more. Buy your copy now from the Raspberry Pi Press store, major newsagents in the UK, or Barnes & Noble, Fry’s, or Micro Center in the US. 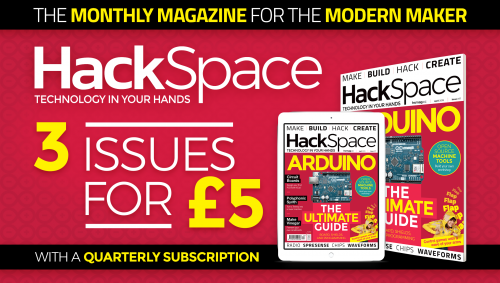 Or, download your free PDF copy from the HackSpace magazine website. Subscribe today and get three issues for just £5 (in the UK — additional postage charges apply elsewhere)!